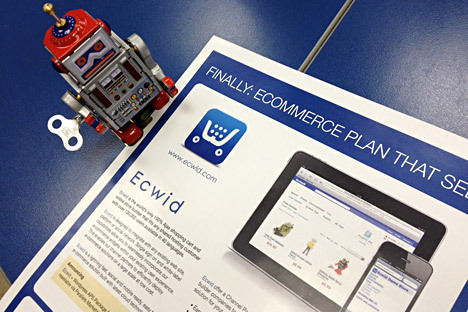 Ecwid has grown into a leading provider of e-commerce solutions on Facebook with over 500,000 merchants in 175 countries. “We knew that there were numerous e-commerce companies that enable small and medium businesses to create an online store,” Fazlyev told RIR. But he found that none of them offered customers the possibility of easily adding a store to their existing web presence. “X-Cart customers have flooded us with requests for this. We kept saying ‘this is not possible, no one does it.’ But then I thought: ‘Why not?’ And this is how Ecwid was started,” he recalls. In less than five years this online store-building platform has proven successful attracting over 500,000 merchants in 175 countries and has been translated into 45 languages. With offices in Ulyanovsk and Mountain View, California, Ecwid’s CEO says that location does not mean much for an IT company.